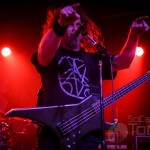 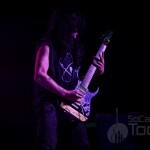 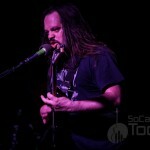 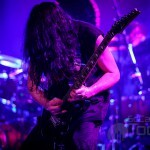 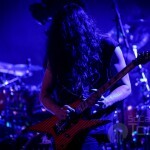 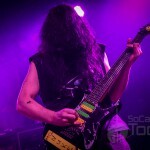 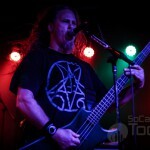 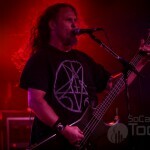 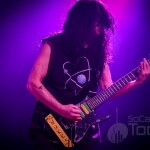 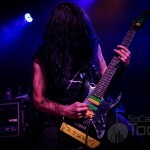 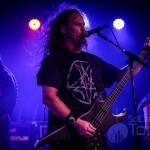 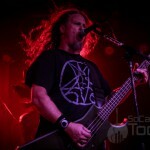 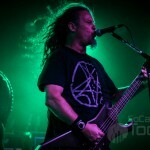 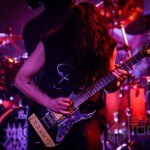 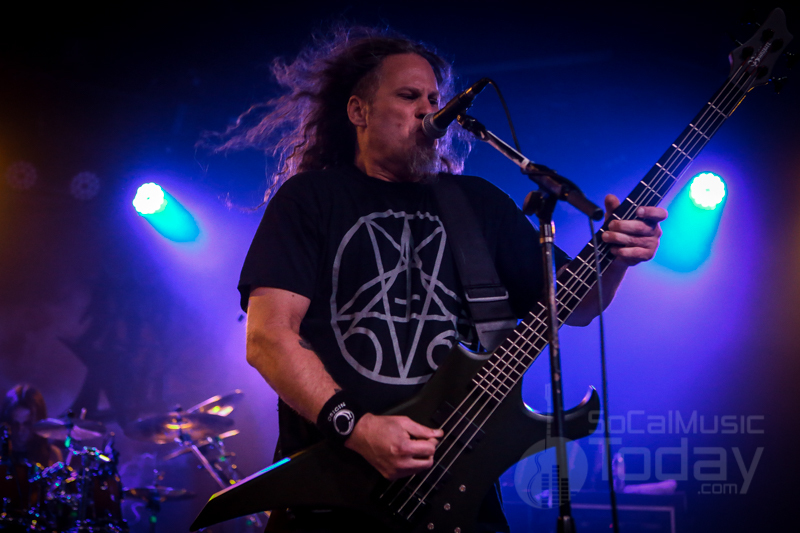 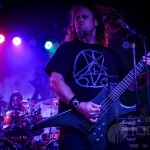 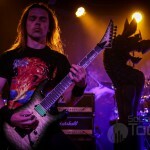 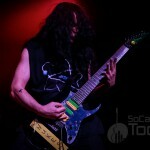 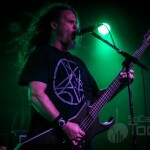 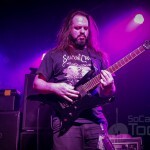 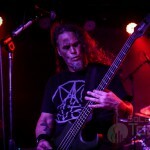 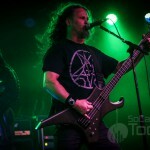 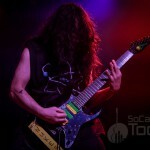 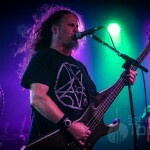 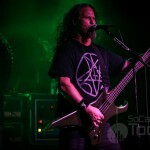 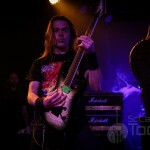 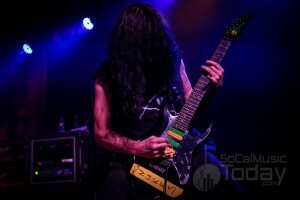 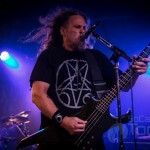 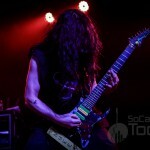 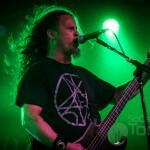 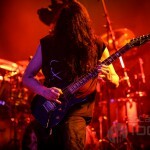 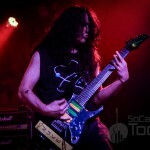 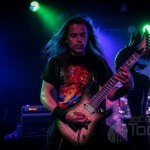 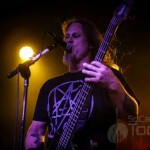 Death Metal pioneers and one of the God-Fathers of the genre, Morbid Angel made a stop at The Glass House in Pomona on Thursday night May 10 as part of their 2018 United States Kingdoms Disdained tour. 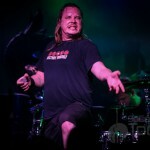 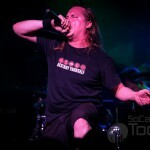 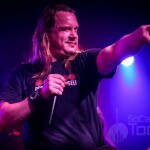 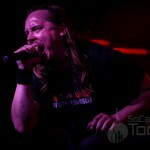 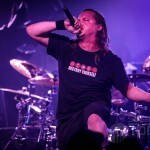 Having released their 9th studio album of the same name (Kingdoms Disdained) in December 2017, their first recording with vocalist Steve Tucker since 2003’s under-rated Herectic, the band is out pummeling stages across the USA with Hate Storm Annihilation and Origin. 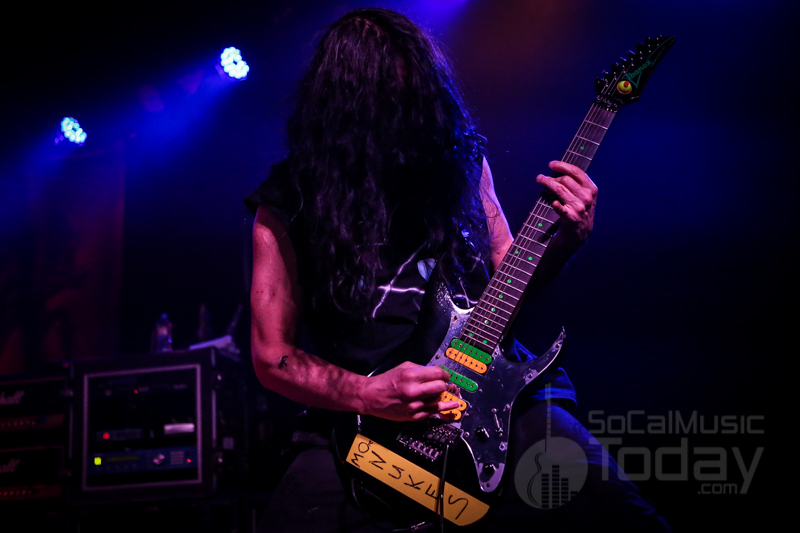 With Pomona being the second SoCal date (they played the night before at The Regent in Los Angeles), in a row, the southland was about to be decimated again. 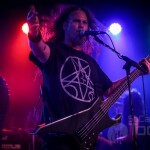 Hate Storm Annihilation did just that – they Annihilated with their 3-piece attack and primed those early attendees with some crunchy Death Metal. 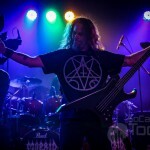 By the time Origin hit the stage all in attendance were ready to get crazy as the band delivered 45 minutes of technical death metal lunacy. 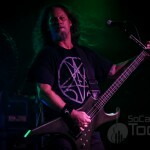 Led by vocalist Jason Keyser, these veterans put on a clinic of how to get a crowd ready for Morbid Angel. 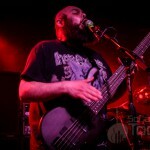 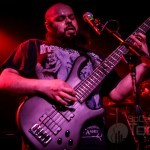 Bass player Mike Flores is a sight to see playing his five string bass while providing some deep death-metal growls. 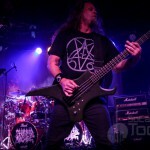 When Morbid Angel took the stage at 10:00pm the anticipation was high as it is always an experience to witness these legends do their thing. 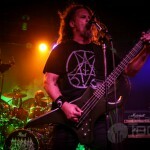 With a re-vamped line-up that now includes Steve Tucker back on vocals with Scott Fuller on drums and Dan Vadim Von on guitars along with the “Eddie Van Halen of Death Metal” Trey Azagthoth on lead guitar, the players may be different but you the brutal result is the same – KICKASS Death Metal! 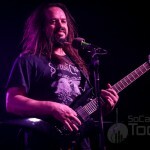 The setlist consisted entirely of Steve Tucker era songs which made for an interesting setlist for the die-hards but there was definite disappointment voiced in leaving out some of the Morbid Angel classics like “Rapture” and “Fall from Grace” . 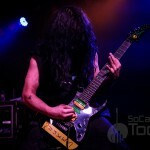 . . hopefully in future tours some of the David Vincent era tunes will return. 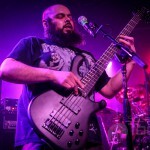 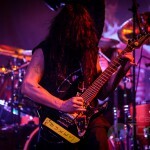 Tucker is a brutal vocalist and delivered all songs with passion and angst as he beat the hell out of his bass all while Azagthoth was making in-human sounds with his guitar – a true innovator. 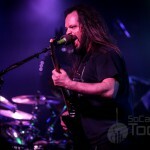 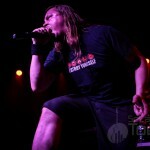 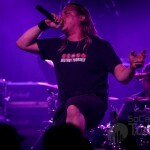 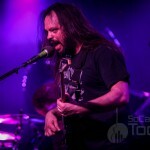 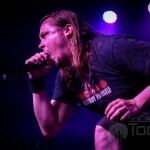 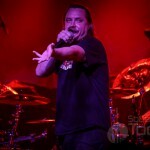 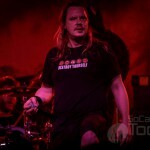 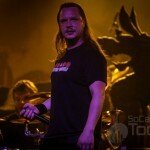 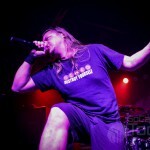 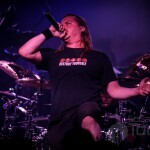 The band opened with “I” then into three songs from Kingdoms Disdained, “Pile of Little Arms”, “D.E.A.D” and “Garden of Disdain” – all sounding 10 times more vicious than on the album. 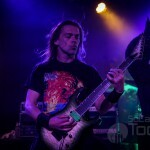 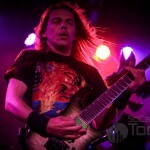 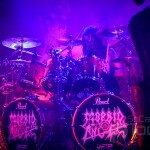 Vadim Von’s picking hand was going 100 miles per hour as he melted faces with his speed and even more impressive was Fuller’s machine gun drumming at break-neck speed. 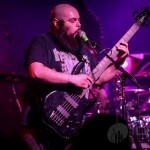 The band didn’t talk much and used their time to let the music do the talking. 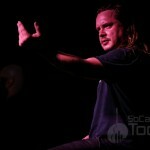 The set ended with the pounding of “Nothing is Not” then into “To the Victor the Spoils”. 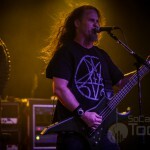 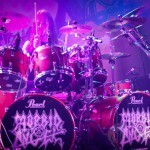 Morbid Angel completes this tour on May 17 in Houston with hopes the band will return to North America for another run of brutality later this year.